Working with you to ensure that all expectations are met. We construct both fixed and free standing seating and predominantly supply to the leisure, financial services and residential sectors. Our clients vary dramatically but all are treated with equal importance. We engage with our clients giving 100% passion, reliability and commitment no matter how big or small the project from sporting arenas, hotels to residential houses, restaurant chains to independent cafes, nightclubs to country pubs, reception areas to office breakout zones. A dedicated project manager will oversee all your requirements from design, estimating, scheduling, installation and post installation support. 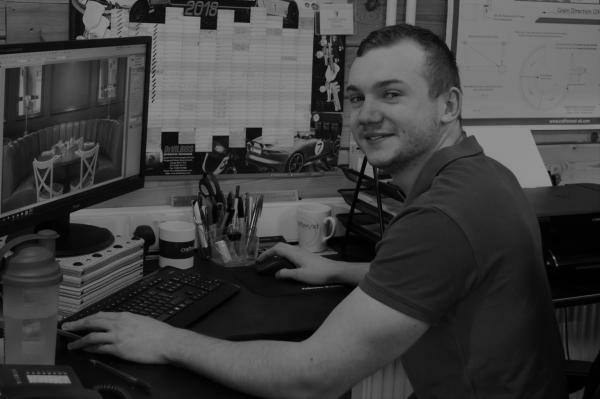 Using the latest computer aided design software, our design team are a vital part of the process, working closely with your project manager and the production team to ensure all expectations are met. Our highly skilled production team will bring your design to life using our CNC machine and specialist hand tools producing a truly diverse range of stunning seating. Our industry certified CSCS site fitters travel to your venue in our sign written vans to deliver and install your seating. In the absence of the client providing precise dimensions and measurements, Craftwood can provide an on site survey service. Key to managing and mitigating impact on our clients business, we typically install our fully constructed seating during times that suit your particular business. 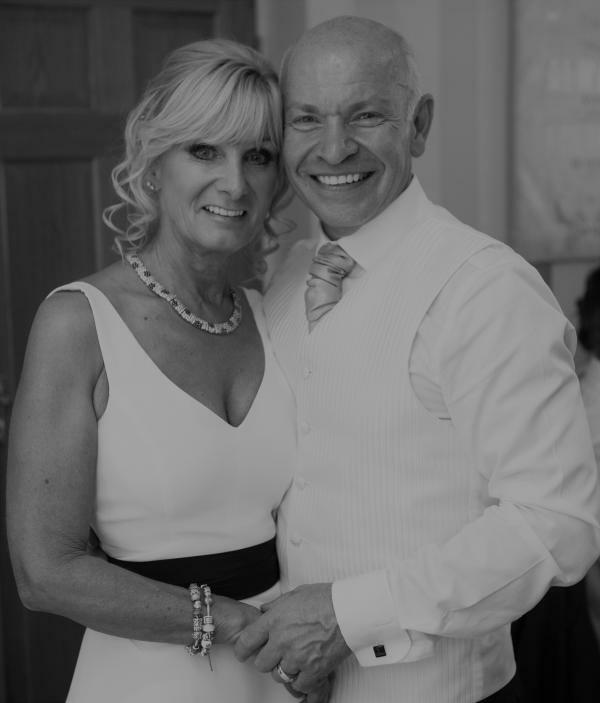 I am the Managing Director and joint owner, with my wife Jessica, of Craftwood Interiors Ltd. I have worked in the furniture industry virtually all my life, manufacturing and selling seating in many countries. During the past ten years I have overseen a highly successful expanding business having installed high quality seating into literally thousands of companies across the Hospitality, Corporate and Residential sectors. With my Craftwood team constantly looking to innovate our manufacturing and construction processes we still maintain a clear priority of providing excellence in customer service. In my spare time I enjoy going to the gym, cooking and when I have time travel and spend quality time with my wife, Jessica, my family, friends and our dogs. 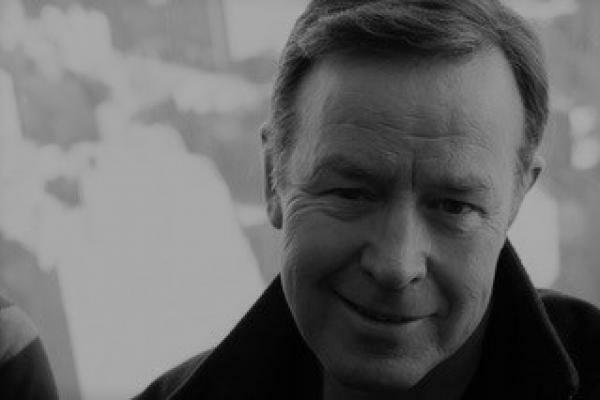 In partnership with my husband Alan, I fully contribute to Craftwood’s strategy and key decision making processes. Along with my husband, it is our goal to ensure that Craftwood continues to grow for many years to come. In my spare time I enjoy spending quality time doing yoga and training dogs. We have a great circle of family and friends who equally we see on a regular basis, in between our love for travel and of course our extended family of dogs. I have spent the majority of my career working in the Financial and Support Service sectors. I have specialised in the areas of corporate automation, integration, consolidation, outsourcing and supporting operations and business units in multiple countries across multiple regions. My key goal at Craftwood is to help build on the success the company has enjoyed over the past ten years and work with the team in helping to take it to the next level. I like to travel, read, listen to all types of music genres but spend the majority of my leisure time with my wife Sarah, our family and friends and of course our dog Riley! Originally from Plymouth, moved to Bournemouth and fell in love with the place. I graduated from Bournemouth University with a BSc degree in Design Visualisation. During this time I completed a year placement as a junior designer with Craftwood. 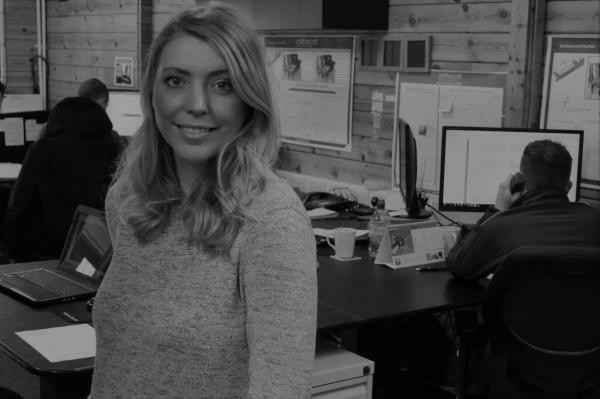 After I graduated I was luckily enough to re-join Craftwood were I have broadened my knowledge within the industry and enjoyed promotion to Design Manager. Main loves in life are pasties, beach runs, football and a glass of single malt whiskey! After completing my Degree in BA Product Design, I was employed by Craftwood after previously completing a successful 52 week placement here. In 2015 I was promoted to Design Manager where I enjoy working as part of a friendly, hardworking team. One of my favourite tasks is visiting clients where designs are discussed and agreed. I enjoy seeing the seating go from initial sketches to the finished installed product. I live in Burton with my Fiancée, our little girl and our Cat. In my own time I enjoy socialising with friends and watching football. In 2015 I started as Marketing Manager at Craftwood Interiors and have enjoyed watching and being part of the company’s growth. I enjoy every aspect of my job whether it be building the website or researching into new clients, each day is different and exciting. The favourite part of my job is receiving new images of our installed seating so I can see what a great job Craftwood have done. Outside of work I enjoy going to the gym and my other half and I are currently renovating our house. Also I’m a crazy dog lady, have one of my own and I am obsessed with any dog I see! I joined Craftwood in 2013 as an Estimator and am extremely proud of how the company has developed and grown over the years. 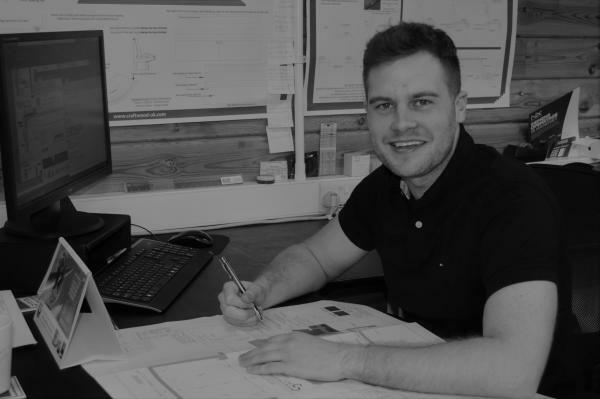 I have been in my current role as Senior Estimator for the past 2 years and I very much enjoy working alongside the other estimators to ensure we provide accurate and competitive prices for our customers. 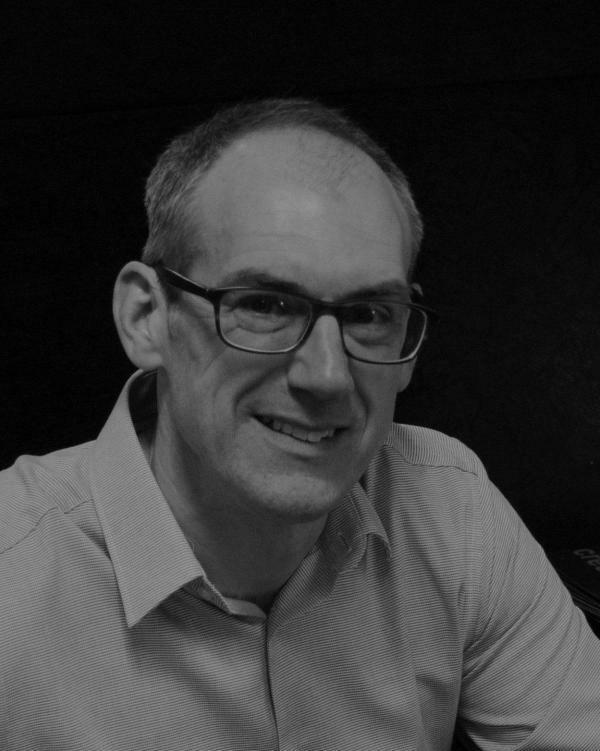 I relish the variety that my role brings – from working on huge corporate and hospitality projects to helping homeowners make the best use of their space, each job is different. I thoroughly enjoy seeing a project through from the initial design conception, all the way through the production process and ultimately to the finished seating. Outside of Craftwood, I am currently studying for my BA (Honours) Humanities degree. I also enjoy going to the gym and yoga. I live with my husband and our cat, have been a vegan for around 5 years and I love experimenting with new recipes and inflicting them on my hubby! Having left college fully qualified in the catering industry I progressed to become head chef in a successful 5-star hotel in Hampshire. After a few years I decided on a complete change of career and entered the world of sales! After 20 years I’ve never looked back! Running a successful sales team in my previous role, I have now joined a fantastic team here at Craftwood. The bespoke seating solutions we produce are second to none and I feel proud to be part of a thriving sales team and business and look forward to many more years working with them. Away from work I spend most of my time with my wife Kerrie and our three children, that keep us very busy and where I can, I fit in my hobbies of football and trail running. From school I joined a seating company where I remained for 13 years. 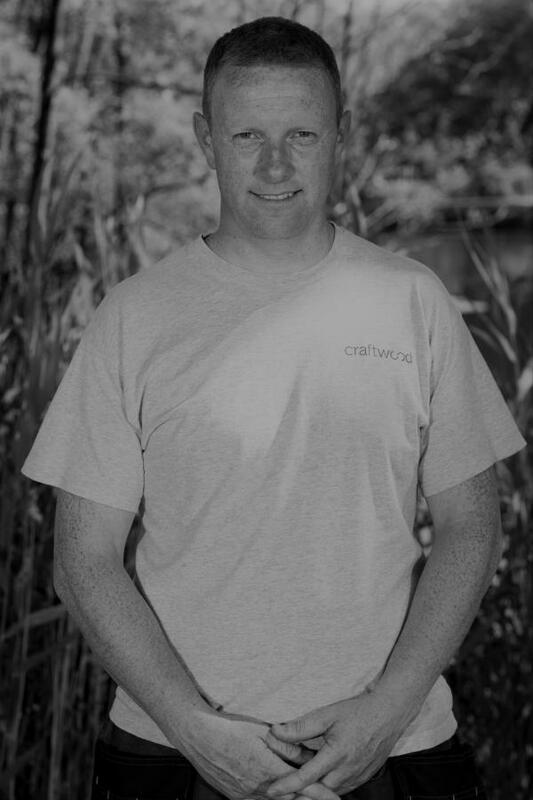 I joined Craftwood in 2001 where I have progressed to joinery supervisor and I enjoy working as part of such a great team. In my spare time I love watching films, gaming and DIY. I started my career at Craftwood when I was 17 and I was promoted to upholstery supervisor in 2003. Over the years I have broadened my skill base and I enjoy the responsibility of guiding my team and working to tight deadlines. I am a keen skateboarder in my personal time.